Gated Hidden Gem of 403 homes off University Parkway, West of I-75. Awesome community with amazing location, built in 2004-2005, there are 4 homebuilders that chose to participate, Neil Homes, Lee Wetherington, Bruce Williams and Inland Homes. There is a variety of styles and sized from 1400-3400 SF, many with private pools, there are 2 community pools, a hot tub, an exercise facility, many walking trails around lakes with lit fountains. There is a community playground and another larger County playground with lit tennis courts and pavilion just outside the gates. You are a short walk, bike or drive to UTC Mall, BJ's, Oak and Stone, World of Beer, Fresh Market, Kohl's and all that University Parkway has to offer. Along with being 2 miles from I75, 10 minutes from Sarasota and 20 minutes to Lido Key Beach and St Armand's Circle. 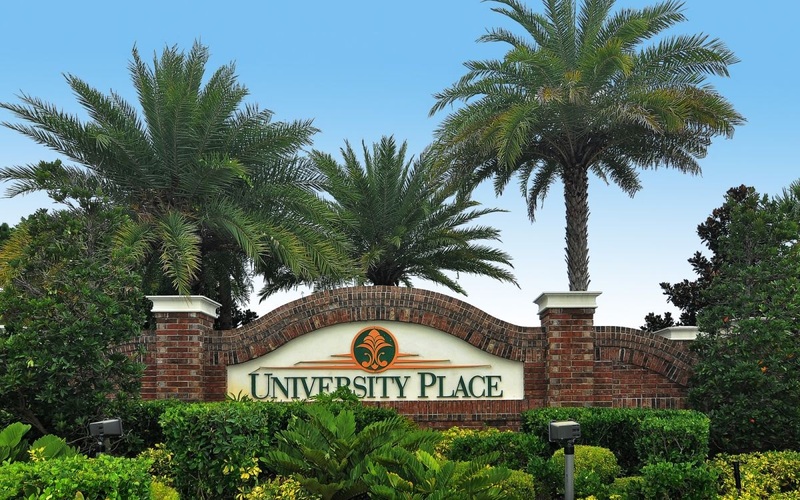 If you are looking for the right neighborhood, look no further, University Place is the Place to Be!